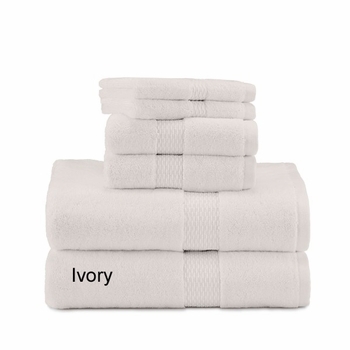 Choose responsibly and stylishly with Under The Canopy's Organic Cotton Towel 6-Piece Set. 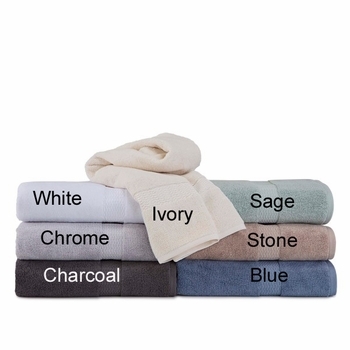 This bundle of six beautiful, all-cotton towels is certified organic and produced with the health of you and the planet in mind, bypassing harsh chemicals in favor of low impact dyes to create vibrant, lasting color. Meanwhile, low-twist yarns form the plush terry loops that cover each towel, guaranteeing a soft, absorbent experience every time. Under The Canopy's Organic Cotton Towel 6-Piece Set includes two bath towels, two hand towels, and two wash cloths. 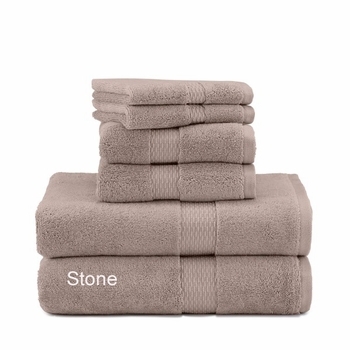 Each set is offered in the following colors: White, Ivory, Blue, Charcoal, Chrome, Sage, and Stone. This towel saved 772 grams of CO2 in production. 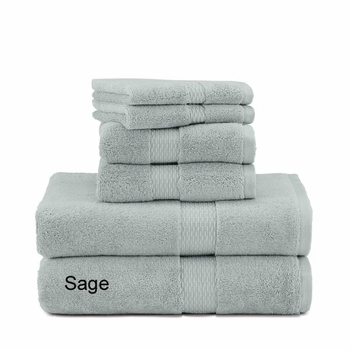 This towel saved 7 bathtubs worth of water in production. 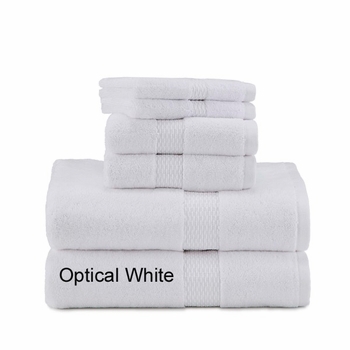 This towel saved 40 hours of light energy in production. Wash Before Using. Machine Wash Warm, Wash With Similar Colors, Only Non-Chlorine Bleach When Needed, Tumble Dry Medium, Remove Promptly.